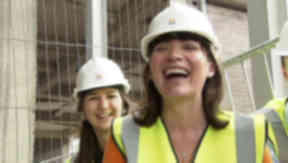 Lorraine Kelly 'honoured' to lay first brick of medical school extension. TV presenter Lorraine Kelly has laid the first brick of a major new extension to Dundee University’s medical school. It is the start of the second phase of work in an £11m programme to create up to date, first class facilities. The TV star and former rector of the university said she was "honoured" to have been asked to be involved. She said: "I'm so passionate about Dundee. I love the cityand both the city and the university are going through an amazing amazing transformation and it's all part of this renaissance of Dundee and in the next five to ten years the city is going to be transformed for the better." Professor John Connell, vice principal of the university and head of the College of Medicine, Dentistry and Nursing said: "This is a major project which will provide us with first-class facilities to match the quality of our teaching, which is consistently rated very highly. "We are delighted that this development will allow us to maintain the very highest standards of education, working in close partnership with NHS Tayside and NHS Education for Scotland." 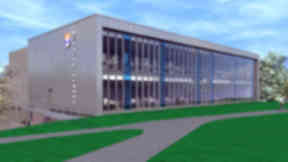 The upgrade project includes a new-build development on the site at Ninewells which will provide state-of-the-art IT and electronic teaching facilities. There will also be redevelopment work to upgrade existing accommodation.